The Quantal aluminium conservatory roof includes an insulated ceiling pelmet that will improve and enhance your home with the style of an orangery, minus the associated cost. A Quantal aluminium conservatory roof with an insulated ceiling pelmet will add comfort and style to your orangery or extension, turning it instantly into a space suitable for year-round living. How does the Quantal internal pelmet create an orangery-styled living space? It is filled with mineral insulation that works with other thermally efficient features – like the performance glass in the conservatory roof – to maximise heat retention. The pelmet looks stylish and allows for the installation of lighting, which means you’ll benefit from plenty of illumination. The internal pelmet is a highly versatile addition to any conservatory, orangery, replacement roof or house extension and can be tailored to suit your needs. With this, you'll be able to enjoy a seamless aesthetic throughout your home without having to compromise on comfort, security or lighting. Our Designer Conservatory is compatible with the Quantal internal pelmet. You’ll be able to choose from a range of styles – including Victorian and Lean-To – to ensure architectural consistency. The Quantal internal pelmet will be plastered to create a ‘real room’ feel. Speakers and spotlights can be added, and the pelmet made wider, depending on your needs. Take a closer look at our Classic Orangery to discover how the Quantal internal pelmet adds the finishing touch to a traditional design. The generous use of masonry on the outside creates, in this case, a welcoming façade that’s continued on the inside by the pelmet and internally plastered dwarf walls, which work together to create a cosy living space. As an alternative to a conservatory or orangery, explore our stunning Glass Extension. Choose between masonry piers or super insulated columns to create an enduring aesthetic that communicates solidity and presence. The combination of a Quantal aluminium roof and internal insulted pelmet will fill the interior with light and warmth. Although the Quantal internal pelmet performs a range of functions – such as supporting the weight of the roof and contributing toward thermal performance – it has also been designed with cosmetic value in mind. Whether you’re planning an orangery, conservatory or extension, the internal pelmet will turn your new room into a stunning living space that’s a pleasure to spend time in. The pelmet achieves superb aesthetics by concealing the join situated between the walls and roof of the orangery or extension. A smoother and more continuous look is achieved as a result, which helps to create a roomlike feel. The addition of spotlights and speakers further accentuates this impression and makes your new space feel connected to the main body of the home. Other features work collaboratively with the Quantal internal pelmet to create an environment that can function as a lounge, dining area, study – or anything else you want to achieve. The performance glass used throughout the orangery will work in tandem with the insulated pelmet, for example, to ensure absolute comfort during the often-harsh winter months. Whether you’re renovating your orangery or extension or starting afresh, you’ll want to know your money’s been well-invested. The system in its totality will need to deliver style, comfort and strong performance in equal measure. An inefficient structure will give rise to a host of issues – perhaps most notably, condensation. The Quantal internal pelmet is normally infilled with wool insulation, which will stop your orangery or extension from getting too cold. Situated above the curtain at the top of the windows, it is tactically positioned to prevent warm air circulating behind the drapes. The formation of condensation will be prevented as a result. Are you looking to extend your home? If so, your motives could be manifold. Perhaps you like where you live but need some extra space. Maybe you’ve run out of room and can’t afford to move, but recognise that an orangery or conservatory is a less expensive option that will also increase the market value of your home. Finding a conservatory roof with an internal pelmet that suits different widths is important if you need to create extra space. Otherwise, your design options will be limited. The Quantal roof and accompanying internal pelmet can be adjusted to suit varying spans and are compatible with lean-to and hipped lean-to systems. Prospective buyers will be attracted to your orangery or extension, which feels like a natural continuance of your home, rather than a separate space. They’ll be able to see the potential of your room, which will look homely because of the Quantal internal pelmet. This can be an eye-catching feature across the board. Whether you’re staying where you are or moving on, the Quantal internal pelmet will provide you with a space that’s optimised for year-round living. And if you do decide to sell, buyers will be able to see the potential your room has to offer. You'll be able to enjoy a standard of value that lasts long after initial installation. The Quantal Internal Pelmet will contribute positively to the thermal efficiency of your structure. The overall U-value of your extension, conservatory or orangery will fluctuate depending on your choice of doors, windows, glazing and roof. For more information about recommended levels, visit the GGF or Passivhaus Institute’s websites. A robust 10-year warranty covers every Ultraframe product. 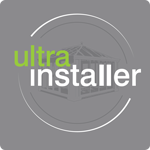 We would recommend speaking to your UltraInstaller before work commences so that you can verify the level of guarantee that comes with your product as standard.